After years of caring for others, Nola Burns is ready for her own dream-running a Nantucket tearoom. And it will take more than charm for dashing entrepreneur Harrison Starbuck to buy her out. After all, what proper lady could trust a man who thinks the theater is a suitable venue for God's word?All Harry offers is a business proposition. So why should it bother him when Nola receives threatening notes? He has no reason to be concerned for the vivid, spirited woman. Does he? Yet as the threats escalate, Harry's plans shift. 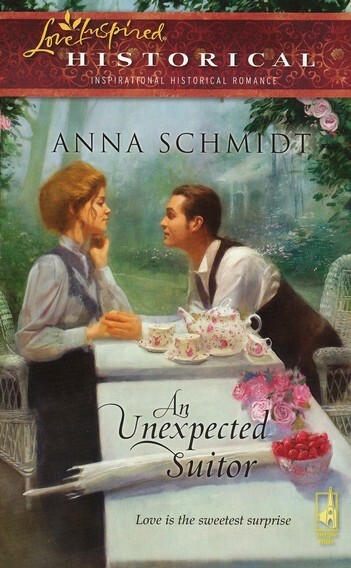 Now this unexpected suitor only wants to keep Nola safe-and cherished-for a lifetime. This is a delightful book, focusing on the personalities of the characters and on their feelings. It tells the story of a young woman on the verge of becoming a spinster, who has a chance at happiness after taking care of her family in her youth. But thankfully God has other plans for her life than the ones she does. She finds it hard to recognize His hand in the sircumstances and people he brings in her life and resists all possible change at first, but then her kind heart and her trust in the Lord prevail and slowly but surely her life starts to change. She starts to change. This is a wonderful story about how God changes us for the better when we least expect it (or want it). We can be stubborn at first and distrusting anything that doesn't fit into our way of thinking, but God wants us to be free and loving and happy. This is the valuable lesson of this book. It focuses on the relationships between different people and goes quite deep, which I think is what makes a good book. It is, of course a romance, a christian romance at that, and there is a great deal of tender, sweet wooing, all of which is beautifully interwoven with deep christian truths. It also contains quite a lot about theatre and actors, which is one of my favourite subjects. And tea, of course. Something else that made me love this book, was that the people in it are (mostly) good-natured, even though they have their faults, and redeemable. I loved this, as when i finished the book, I had a generally pleasant feeling about the world, which i think is one of the things a good book ought to do for the reader. It is remarkable how the author manages to do that and still be quite realistic in the complexities of the characters. A delicate, tenderly woven tale,which, although filled with hardships is wonderfully sweet underneath it all. Just like Nola, the heroine. It is filled with controversy, but at the end it all makes sense. Just ike Harrison, the hero. And just like all of us.